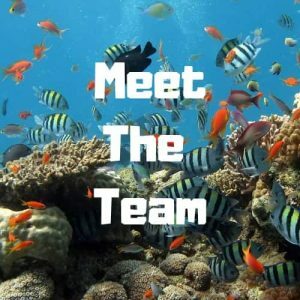 Blog How Long Do Oscar Fish Live For? 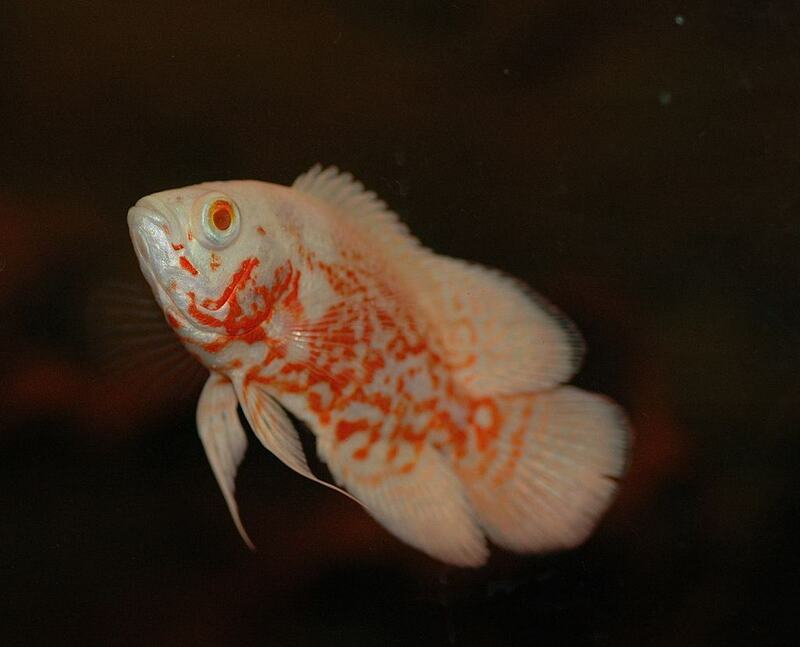 The Oscar is a member of the Cichlid family that comes in a variety of types. These include the more frequently seen Tiger, Red, and Albino, and the lesser-known Lutino, Lemon, and Zebra. All of these share the same characteristics, apart from the color of course, such as that they are all semi-aggressive, grow to the same size, and have the same lifespan. How long do Oscar fish live for? 10 to 20 years dependent on various factors however, the average age is between 8-12 Years. The level of care provided, standards of stock they are bought from, and that they are kept with appropriate tank mates will all have a factor to play in their lifespan. It goes without saying that the lifespan of any fish, not just the Oscar, is highly dependant upon them receiving the care that they need. This includes keeping them in an appropriately sized aquarium, feeding them the correct foods, and providing them with the correct maintenance. Aquarium – Oscars need a minimum of 100 gallons for one specimen, preferably more, with excellent filtration and moderate water movement. They should also have an aquarium that is wider than tall and not too heavily decorated. Lighting is not of importance to the Oscar who would happily live in the dark but should be provided to ensure they get 12 hours of light per day. For more information on suitable tank sizes for a Tiger Oscar, check out our helpful article on this topic. Nutrition – As an omnivore, the Oscar will eat virtually anything that they are offered. Their natural diet in their habitat would include small fish, larvae, plant debris, small insects, and crustaceans. It is this diet that in captivity you should try to emulate as closely as possible. Medium Size pellets are perfect for 4”-6” Oscars. Best Price Here! Good foods would include a high-quality Cichlid pellet, bloodworm, brine shrimp, daphnia, and feeder fish. You should be aware, however, that feeding live foods will encourage your Oscars predatory nature. This may not be a good idea if you plan on having tank mates. We feed our Juvenile Oscars with Tetra Pro Cichlid Small pellets and our adults along with other meaty foods get Aqueon Jumbo Sticks. Maintenance – A weekly 10 to 15% water change is required for any Oscar aquarium. This should be accompanied by a deep substrate vacuuming and cleaning of the glass. Always ensure you do a really thorough job on the substrate as Oscars are incredibly messy fish. Ensure you do all these things and you should have an Oscar that lives for the expected 10 to 20 years. If you manage, and there is no reason why you shouldn’t, to have an Oscar that reaches its full lifespan potential then the chances are that you will also have one that reaches a fair old size. The Oscar will do this at a rather fast pace, being capable of at least an inch growth per month. Please note this may vary slightly from Oscar to Oscar and include growth spurts when they are young. An adult Oscar is expected to be around 11 to 12 inches when fully grown. Considering they are usually purchased at around 1 ½ inch, and the rate at which they grow, this means they could achieve their maximum size within a year. As an interesting fact, there have been reports of captive kept Oscars reaching an incredible 14 to 15 inches. This is usually something that is reserved to natural specimens only. 1. 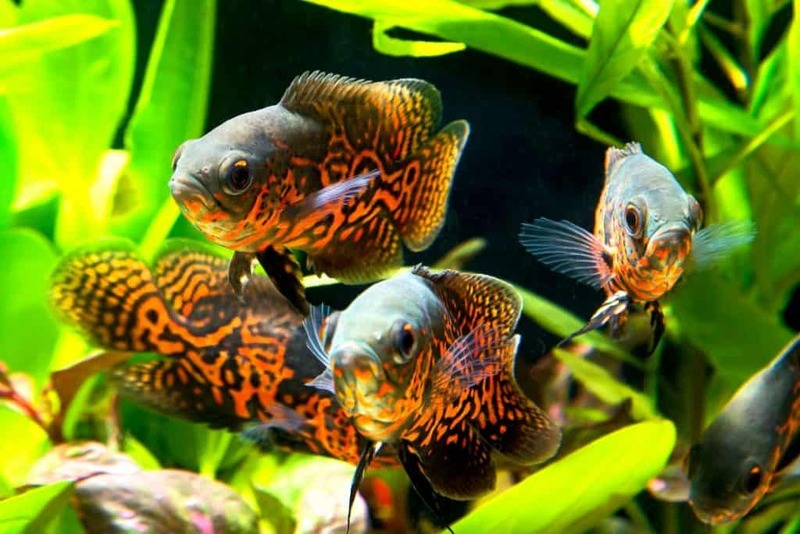 The Tiger Oscar, Red Oscar, and Albino Oscar are the only naturally occurring varieties. The Lutino, Lemon, Yellow, and Zebra are all a result of cross-breeding. 2. Oscars are often lovingly referred to as ‘water dogs.’ This is due to their fantastic personalities and the way they interact with humans. Oscars are known to wag their tails and shake their heads at the sight of their human keepers, exactly the same as dogs do. 3. 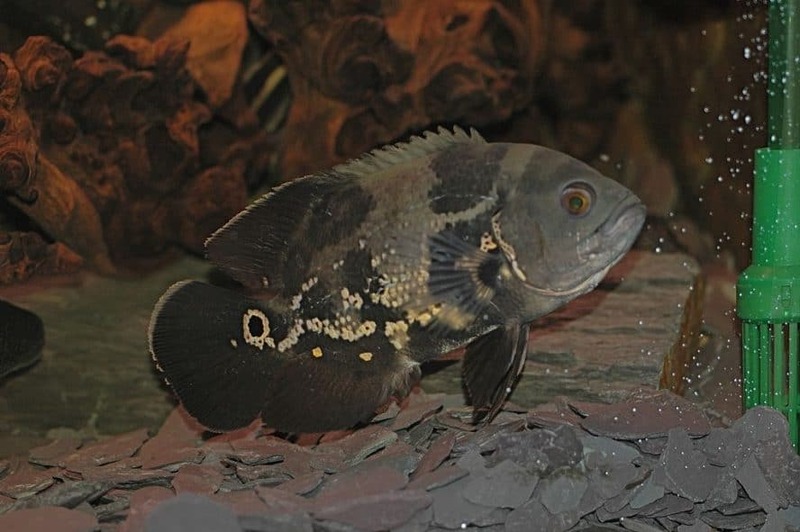 Despite popular belief and a strong resemblance, Oscars are not actually closely related to piranhas. In fact, they are not even from the same group. Piranhas are from the family Serrasalmidae, whilst Oscars are from Cichlidae. 4. Oscars absolutely love to redecorate their aquariums by moving ornaments and plant, and digging up the sand. Some owners have even reported that their Oscars seem to be playing, and that they have taught them tricks. 5. Though it is rare, some Oscar owners like to taxidermy their beloved pet after death. This is, however, incredibly pricey as the Oscar in question has to be carved before having its skin stretched over the resulting model. Read Our Complete Tiger Oscar Care Guide Here! As we have seen from the above the Oscar has to be one of the longest living fish within the aquarist hobby. In fact, it is probably only rivalled by the mighty Goldfish who is capable of outliving them by ten years! However, keep in mind that Oscars can only live long lives when they receive the appropriate care. Oscars that are not kept in the proper habitat and are not cared for properly will probably have a shorter lifespan.